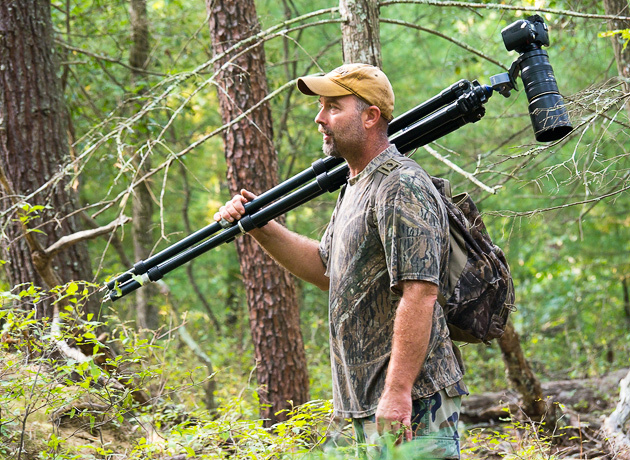 Some of the best Smoky Mountains photos of deer and bear that I have seen are those of photographer Brian Shults. I’d been wanting to meet up with Brian to get some tips on wildlife photography, which is a specialty requiring a whole different strategy than what I’m used to. But even though we both spend a fair amount of time in Cades Cove, we couldn’t seem to find a time for a joint photo shoot. Last Saturday I decided to head over to Cades Cove before sunrise and walk around in the central meadow to see what I could find. Saturday morning is one of the days the loop road is closed to cars, so I had to park at the entrance and walk in. With bicycles zipping by me in the gloom of early dawn, the riding horses and a few deer appeared off in the misty fields. It was a moment to celebrate just being alive. Soon enough I head down Sparks Lane, and then from there over the fence and into the big wide meadow. There are deer around, but as I approach close enough to get a good pose, mostly I get the white tails as they skitter away. Walking on, I can see another photographer in the distance. 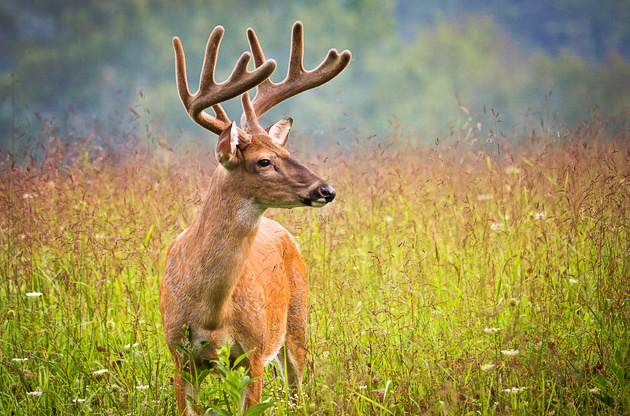 He’s crouched in the grass, surrounded by bucks that seem to be posing for him like hired models. I’m thinking that this must be Brian. Brian has been among these deer for years, and he knows them well enough to recognize each one and tell you something about their history. Obviously, they know and trust him as well. And then a funny thing happened … it was like the deer said “Oh, you’re with Brian … you must be ok.” And they posed for me, letting me get within 10 feet of them. Nice! Eventually they jumped the fence, headed for their spot in the woods to bed down for the day. Of course Brian knew where that would be, and we followed the bucks over there for another photo session. Thanks for a fun morning, Brian! As always, the welcome mat is out for you to visit me at the William Britten Gallery on Glades Road in Gatlinburg. Hopefully my complete display of Smoky Mountains photos will offer a special memory for you to take home. Ah, we too had the pleasure of running into Brian in the woods one day last year in Dec. I agree he is a VERY talented wildlife photographer and such a nice guy to talk to. I feel blessed to have met him and am enjoying his photographs until we can one again hit the cove ourselves. Mr. Britten, you are no slouch yourself with your wonderful shots of the GREAT SMOKY MOUNTAINS! I agree with you! I too have been impressed with the many great shots that Brian gets of the deer. I believe he could write a book about techniques of photographing deer. 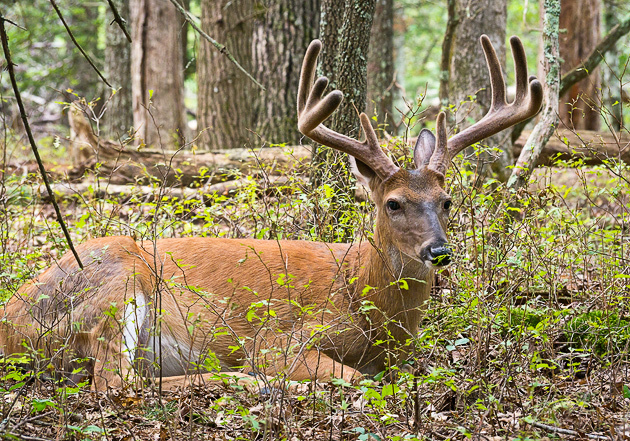 ‘Old Buck in Cades Cove’ is beautiful! Good job!